Meanwhile, in large bowl, mix all ingredients except teriyaki baste and glaze. Shape mixture into 6 patties, 1/2 inch thick. 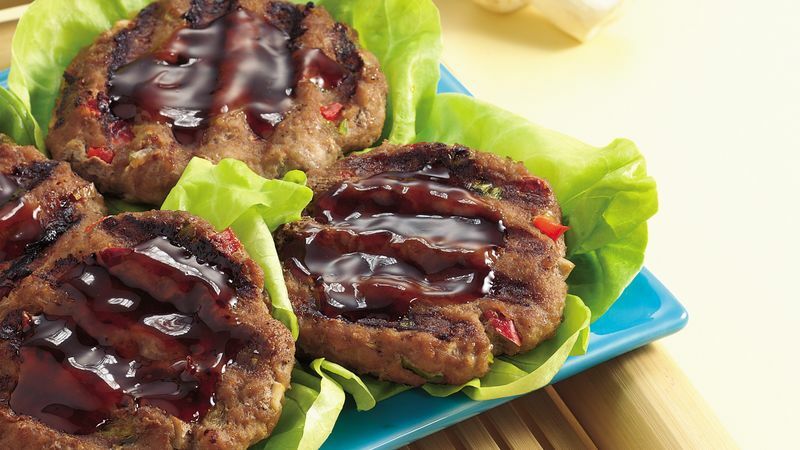 Spread 1/2 teaspoon teriyaki baste and glaze on each patty. Lean ground turkey breast has about one-eighth the fat per four ounce serving compared to regular ground turkey. For best results, use lean ground turkey breast for this recipe. Extra-lean is less moist and produces a drier patty.